SERVPRO can tarp your roof to prevent secondary damages. When a flooding incident damages your property, it might feel like you are wasting money in the restoration. Sometimes the estimate given for the work may seem like a rip-off especially if it is the first time you are dealing with such an incident. Restoring flood damage takes many steps, some of which can take longer to complete leaving you with a sizable bill to settle. When done correctly, your property should attain its preloss state. Before starting the restoration of flood damage in Twin Falls, a thorough evaluation is necessary. The level and type of evaluation depend on the intensity of flooding experienced. It can range from checking the integrity of the entire structure to simpler aspects such as checking the level of water migration and electrical hazards. 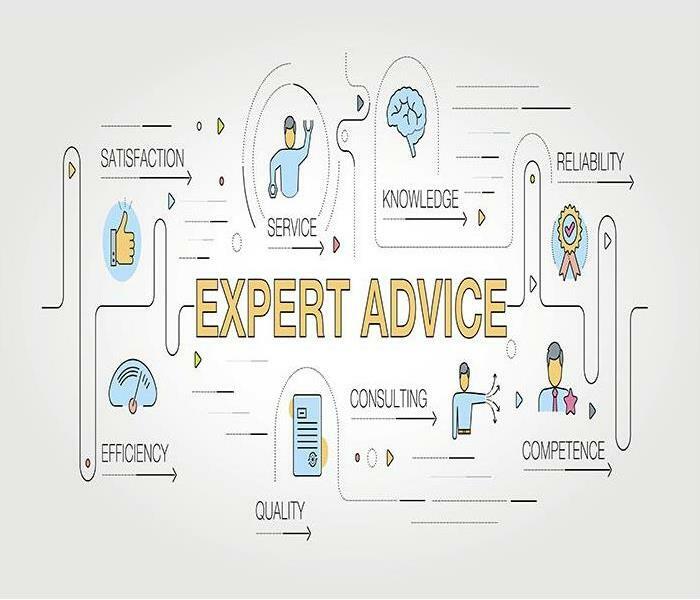 Evaluation requires expertise and sufficient equipment including PPE, Personal Protective Equipment because of hazards such as electrocution and contamination. 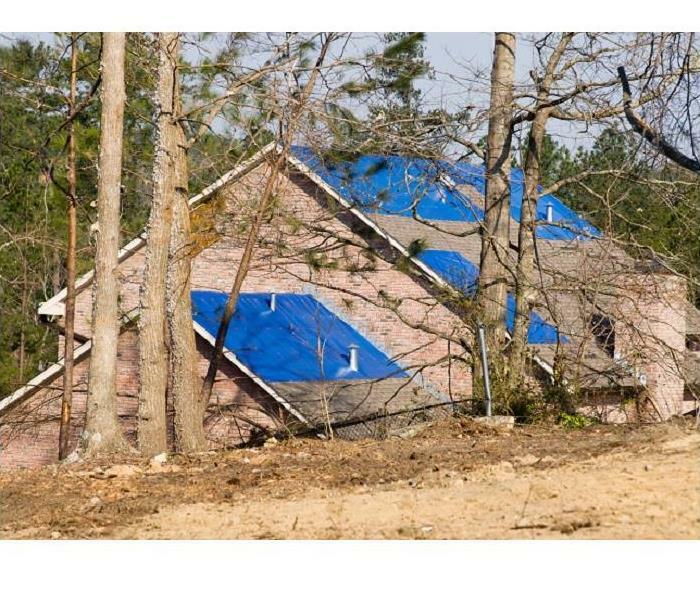 Further damages can happen after the initial flooding effect, which is likely with the breaching of the property wall or roof. Repairing such breaches fast may not be possible, so there is a need to set up temporary stop-gap measures. Our SERVPRO technicians board up properties or install roof tarps to protect contents from further damage. Boarding up can also help in other ways such as keeping out vandals thus saving the property owner from unnecessary cost. Flooding leaves properties dirty, so cleanup thorough cleanup is necessary for the property to be habitable. Some of the filth such as silt or sewage is brought in by the flood waters. Materials in the house such as carpets and drywall damaged by the floodwaters also add to what needs to go during the cleanup phase. Our SERVPRO technicians remove all porous materials affected by floodwater to eliminate contamination. We also use equipment such as pressure washers to clean up soiled surfaces. We also use OSHA approved cleaning agents for sanitizing soiled areas. If floods damage your property in Jerome, Buhl or Kimberly areas, call SERVPRO of Twin Falls & Jerome Counties at (208) 735-1447 to handle the restoration. We’re Faster To Any Size Disaster. Read about Twin Falls here. Small kitchen flare-ups can be common, especially through training new cooks in the fast-paced meal times of the day. Not every incident that can damage your Buhl restaurant has devastating results. Small kitchen flare-ups can be common, especially through training new cooks in the fast-paced meal times of the day. While these incidents might not overly damage the kitchen area, or even require a stoppage of work, there can be effects that can linger in the area and adjacent spaces like the dining area that need to get addressed. Odors can often be one of the most common effects after a fire, and to improve the experience of each of your patrons, you need to prioritize the removal of these harsh scents. 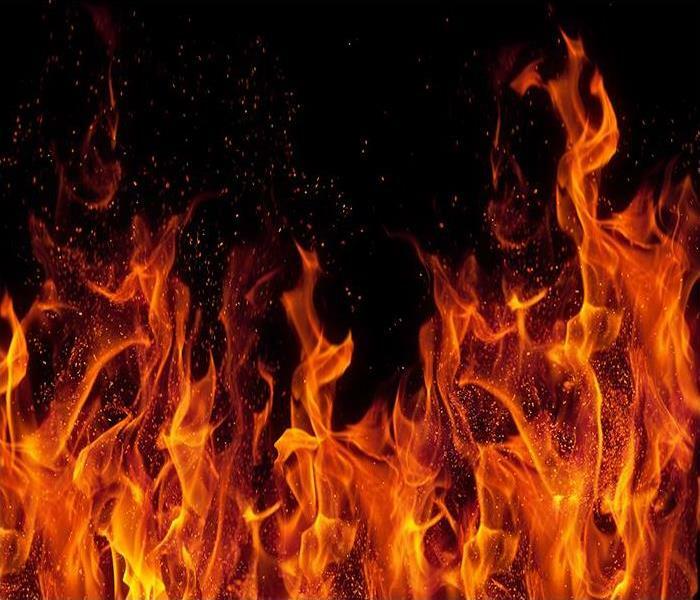 While there can be many points in your Buhl restaurant that fire damage could affect, effects like odors, soot particles, and smoke residue can spread quickly and far beyond the combustion point. Our SERVPRO professionals can arrive with the advanced equipment designed to address these concerns quickly with fast cleanup tactics and effective deodorization to help you continue business as usual in your restaurant. From the time that our team arrives at your property, we can begin addressing the most pressing effects right away. When cleanup and odor removal are the primary concerns, we utilize containment strategies like physical plastic sheeting barriers and containment equipment like hydroxyl generators to keep the odor in the one affected area. To effectively deodorize the restaurant and work to improve indoor air quality for both the patrons of the restaurant and the employees alike, our SERVPRO team can continue the use of hydroxyl generators and add in equipment like our thermal foggers. These machines can break apart odor molecules and neutralize them on contact, helping to noticeably reduce or eliminate harsh smoke odors permanently. While you have many concerns for your restaurant whenever small kitchen flare-ups occur, removing the odor that often lingers afterward should get handled by skilled professionals like ours. You can reach our SERVPRO of Twin Falls & Jerome Counties rapid response team 24/7 by calling (208) 735-1447. Click here for more about Buhl. Floods can cause a significant amount of damage to your home but with our team you can save money by acting fast and restoring your home right away. 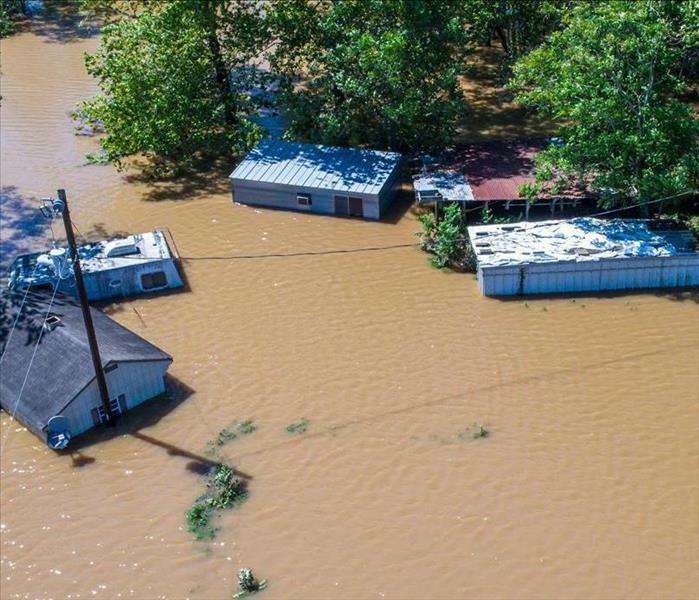 Flash floods can cause millions of dollars worth of damage in a short space of time. Repairing that damage requires professional help from technicians with the right qualifications and experience. These two aspects are vital because they mitigate against damage further down the line. 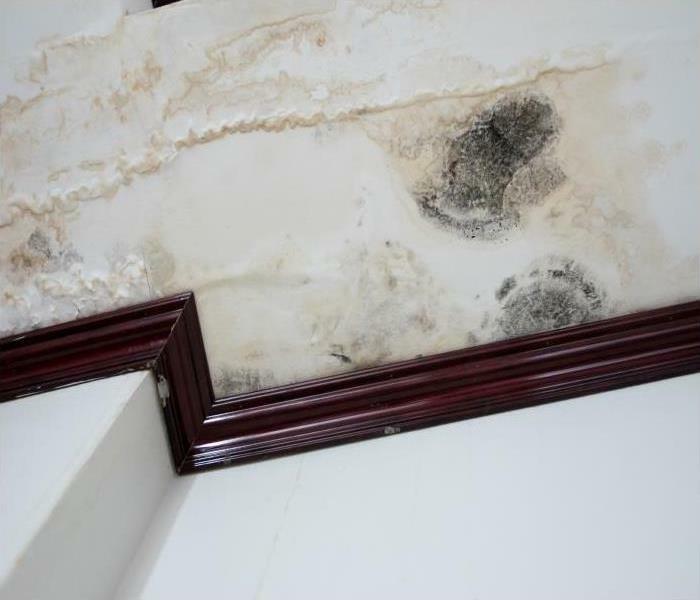 In the majority of mold remediation we carry out, the original cause has been a water leak or flood occurring in the preceding months. Guarding against these secondary damages is essential. A property suffering from flood damage in Twin Falls needs care and attention. SERVPRO uses local technicians to reduce our call out times and operate an emergency call line 24 hours a day for anyone in need. On receiving notification of loss, we can send a rapid response unit to your property to begin mitigating the loss by performing an emergency structural repair, removing furniture and fittings or pulling up carpets. The longer standing water is left, the more likely it is to cause permanent damage. Moisture moves from wet to dry meaning that excess pooling can get inside wall cavities or saturate your subfloor mat. SERVPRO uses moisture meters to find damp spots that are not noticeable to the naked eye. We can remove and dispose of any sheetrock, subfloor or debris quickly to fight against expensive secondary flood damage. After the removal of items from the affected area, and checking for potential hazards like loose electrics, we can begin the drying process. Standing water can be pumped out, and portable extraction units brought in. These equipment are much more effective than air movers or dehumidifiers, removing water 1,000 times faster and ensuring your home is dry. Flood water contains bacteria and microbes which is why a thorough disinfecting and sanitizing procedure is vital. SERVPRO uses anti-microbial paints, treatments, and cleaning chemicals to not only destroy potentially harmful or odorous deposits after flooding but also to prevent mold or mildew growth. If any odors linger after the property is dry, we can deploy water-based foggers to neutralize smells without being harmful to property inhabitants. Property damages need immediate and expert attention, contact SERVPRO of Twin Falls & Jerome Counties at (208) 735-1447. Connect with the largest business organization in Southern Idaho click here for more information. 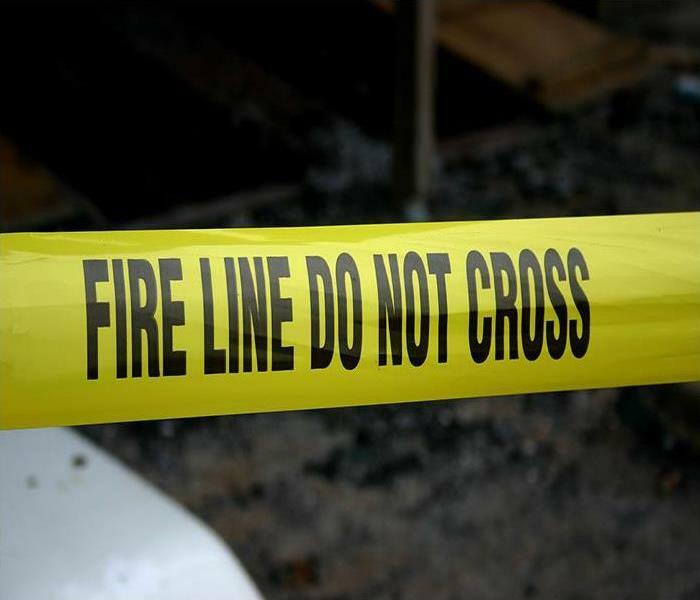 Once the fire is out, dial (208) 735-1447 to reach us any time, and we can help get your life back to normal. A good source of supplemental heat in colder weather in your home in Buhl, space heaters can also, unfortunately, pose a significant risk for fire if not used correctly. Fires can be started by space heaters when they are put near combustible items, the heater does not have adequate safety features, or they are not plugged in correctly. Safety should also be the top priority when using space heaters. 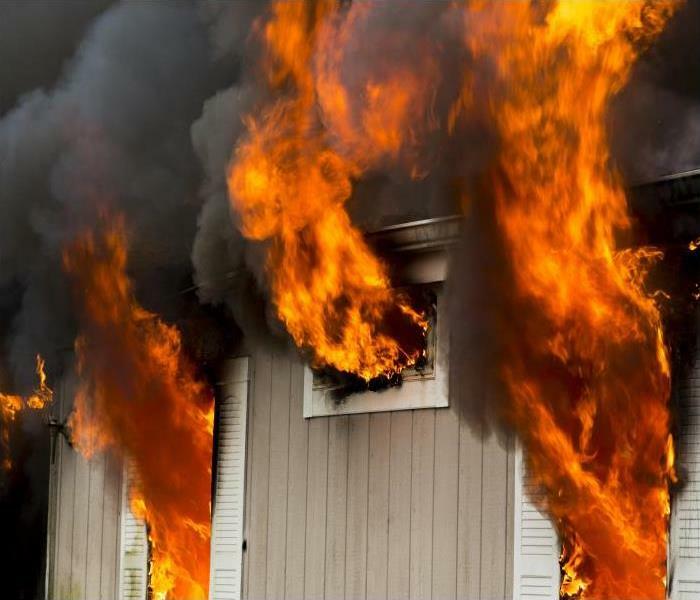 However, if you have experienced a fire from one of these devices, you should reach out to SERVPRO for professional fire damage remediation in your Buhl home. We have the training and experience to restore your home to its previous state before the fire. When setting up your space heater, first ensure you keep it 36 inches or more from any combustible or flammable materials. Put the heater on the floor unless it is otherwise designed to do so. The area you are using the heater in should also be free of any flammable liquids. Don’t place them on a surface that is easily combustible or ignitable, like carpets or rugs, and do not use them to dry clothing. If an accident with a space heater has happened in your home, SERVPRO technicians can come and help you restore your home. Any smoke or soot residues that were left behind can be cleaned up, and the sooner, the better, as they continue to erode whatever surface they are on until this is done. We also work on deodorizing your home from the lingering smoke odors. Keep your electric heaters out of any areas that are moist or wet, such as bathrooms, since water can lead to a fire hazard. Be sure as well to plug the heater directly into an outlet, as using an extension cord can result in overheating and fire. Clean the space heater on a regular basis as well, following the guide form the manufacturer for specific advice on inspection and maintenance. SERVPRO of Twin Falls & Jerome Counties is here to help you any time you experience a fire at your residence in Clover, Hazelton, or Filer. Once the fire is out, dial (208) 735-1447 to reach us any time, and we can help get your life back to normal. Leaky pipes cause destruction to a business and SERVPRO can help with the restoration and cleanup. Water spills have destructive consequences to businesses whether the origin is a leaky pipe or a ruptured plumbing line. It might take longer to notice small leaks than major spills if they occur in hidden areas creating an opportunity for mold, rot and other problems to develop complicating the cleanup process. 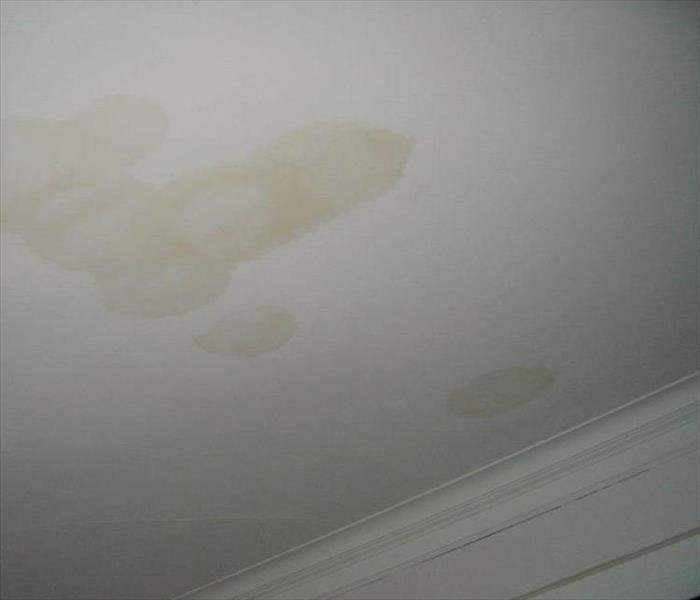 For example, a small leak in the ceiling might remain unnoticed until it starts to sag or discoloration patches appear. We offer professional restoration services to handle cleanup in your Kimberly business. During commercial water cleanup in Kimberly, various steps are necessary to restore the premises to preloss state. Removing the water and drying off excess humidity is essential to stop further deterioration of the affected materials. Water affects materials such as drywall because overexposure can lead to loss of structural strength. Even metals in filing cabinets or other items can rust from extended water exposure. Our SERVPRO technicians check the sources and then extract any water left. We use high capacity water extractors and industrial grade dehumidifiers to complete the task fast. Water, even from clean sources, can soil your workplace necessitating thorough cleaning after the incident. For example, if a pipe bursts in the ceiling, the water transfers dust and other debris from the cavity to other parts of the property. Another way water can soil the establishment is by dissolving materials. Fabrics with non-colorfast dyes are mostly affected leading to staining transfer. Our SERVPRO technicians remove any items that might cause stains from the affected areas immediately we arrive at your premises. We also embark on stain removal while the affected areas are still wet to quicken the process. We have a wide range of professional cleaning agents ensuring we use the best for every material. For example, when removing rust stains, we avoid chlorine bleach because it sets the stain further. Since odors might develop after a water spill, deodorization is also essential. Smells in a commercial establishment have severe implications because customers might not understand that you had a water spill incident. Our SERVPRO technicians help to combat odors in different ways. For immediate relief, we can use masking agents, which provide a sweet scent to cover the bad smell. These mostly come in the form of time-release beads. To remove the odor, we can use methods such as wet fogging which releases a pairing agent to combine with odor particles neutralizing them. 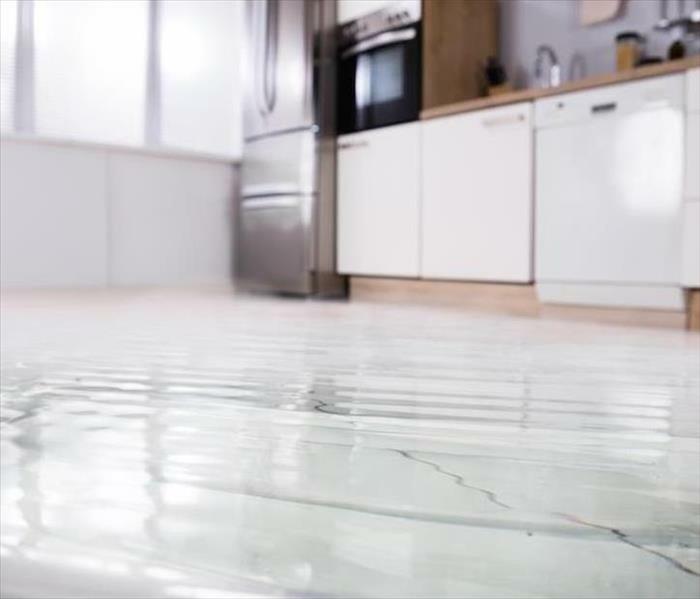 With professional help, you can deal with water damage caused by spills easily. Call SERVPRO of Twin Falls & Jerome Counties at (208) 735-1447 to help. We're Faster To Any Size Disaster. 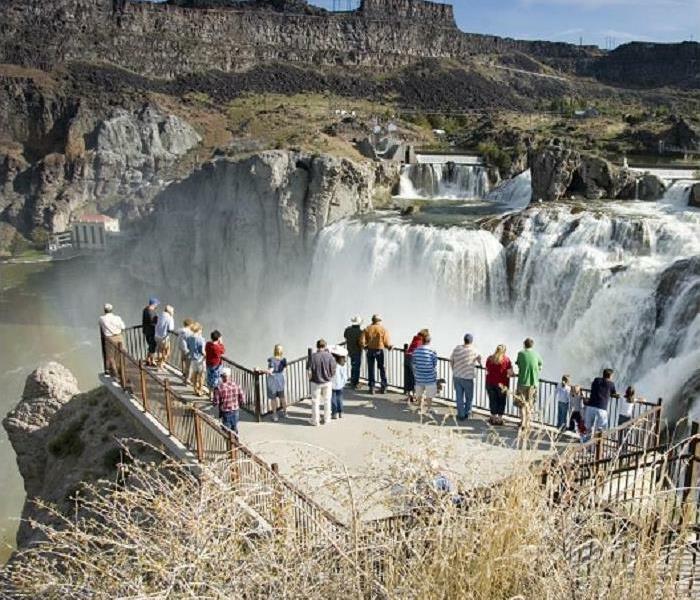 Click here for a list of popular attractions you must check out. Our Mold Damage Specialists Can Restore Your Buhl Basement! Our team has mitigation tactics and restoration practices that can help you dry up the area and remove the presence of mold if it exists. Wet basements are not uncommon to Buhl homeowners, especially with the consideration of situations like underground springs, heavy rainfall, and other contributing factors. Many of these homeowners contend with a damp basement throughout most or all of the year, never fully understanding the damage that it can do to the structural elements like flooring supports, framework, and more. While the excessive moisture alone can cause damages to these components, factors like mold growth can speed up the degradation of these materials to the point of failure. While many homeowners might not understand how mold damage can occur in their Buhl home, another staggering likelihood is the higher volume of residents that might already have this condition without yet realizing it. With the often-lower traffic to areas like the basement, especially understanding its persistent dampness, these regions of the property could already have become colonized. Our SERVPRO experts have the tools and experience to help you. Everything that we do begins with a thorough inspection of the immediate area and the surrounding vicinity to gather an idea of the spread of the colony. We can then set up our advanced equipment like air scrubbers and hydroxyl generators to reduce the presence of mold spores in the environment so that we can set our sights on colony removal in one specific area of the property. This inspection can also showcase the penetration points for water through the foundation walls, up through concrete floors, or wherever the water is getting in. Our SERVPRO technicians can use hydraulic cement to patch up vulnerabilities in the blockwork and use moisture detection equipment to identify other problem areas that require further correction. While you might not consider your property to be at risk of mold growth, it is essential to take care of wet basement conditions as promptly as possible. Our SERVPRO of Twin Falls & Jerome Counties rapid response team has mitigation tactics and restoration practices that can help you dry up the area and remove the presence of mold if it exists. Give us a call today at (208) 735-1447. 12/18/2018 - Our Mold Damage Specialists Can Restore Your Buhl Basement!